Beauty is in the eye of the beholder, or so they say. We regularly hold specialist picture auctions with lots receiving enquiries and bids from around the world. 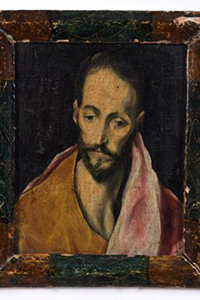 This combined with live internet bidding has resulted in some huge prices achieved, such as a small oil painting on a panel in the manner of El Greco of a Saint which came out of an attic. A real Antiques Roadshow discovery moment, it featured in our international trade paper and generated great pre-auction interest. 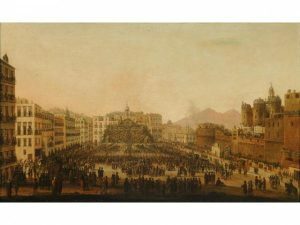 On the day, a fierce bidding war got under way with the hammer falling to a London gallery at £98,000. Another painting which sold very well, came out of a cottage where it had hung for many years. The owner had previously been advised by one of the large International auction houses at £20,000. 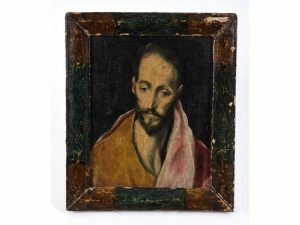 Again, we featured the painting in our trade paper which drew in many dealers and collectors to the sale where the hammer came down at £61,000.